Many individuals who underwent a knee or hip replacement surgery were unaware that the surgical team used a Bair Hugger warming blanket during the procedure until they developed a life-threatening infection. In recent years, the device used to regulate the patient's body temperature during surgery has been linked to a source of contamination that releases airborne particulates and bacteria into the surgical site. During that time, Dr. Scott D. Augustine, the inventor of the Bair Hugger device, has warned doctors, patients, and others that his invention poses a hazardous danger to patients. Rosenfeld Injury Lawyers LLC represents victims of medical malpractice, product liability and other types of professional negligence. Our law firm has successfully prosecuted cases for our clients who were injured by a dangerous medical device due to a defective design. Our attorneys are available now to answer any legal questions on how to receive the monetary compensation you deserve if your injuries were a result of someone else's negligence. Should you have additional legal or medical questions, we invite you to contact our office for a free review of your legal rights. The 3M Company Arizant Healthcare, Inc. manufactures and sells the Bair Hugger Therapy Convective Temperature Management System that is used around the world to control patient core body temperature during surgery. The device consists of a single-use warming blanket and a reusable temperature control unit that forces temperature-controlled air. The device was originally manufactured by the Augustine Medical Corporation. The FDA (Food and Drug Administration) approved the use of the medical device in 1987 after it had received a 510 (k) pre-market clearance under the federal agency's fast-track program. Over the next 15 years, the FDA approved twelve additional clearances. Arizant Healthcare acquired the medical device. In the three decades since the device was first launched on the medical marketplace, many patients have reported to the FDA that the Bair Hugger creates severe adverse events. These events included burns caused by prolonged exposure to the hot blanket during surgery and malfunctioning equipment that caused colder air to circulate through the blanket. By 2017, the Food and Drug Association issued Safety Communication Warnings to alert surgeons and the public of the potential risk of infection when using a Bair Hugger warming device. This warning came after years of reviewing available research and data. While the federal agency recommended that surgeons continue to use the Bair Hugger and other competitive devices, the FDA would continue to “actively monitor” problems associated with the warming unit and issue additional safety communication warnings when appropriate. The following year, Arizant Healthcare, Inc recalled over 160,000 of their Bair Hugger warming blanket units saying there was a design defect. However, the voluntary recall did not occur because of the potential risk of infection. The 3M Company stated that they would change the design to ensure the warming blankets fully inflated during surgery to maximize control over maintaining specific core body temperatures. In January 2018, a report was submitted to the FDA claiming that the warming blanket fails to fully inflate causing patients to suffer hypothermia (dangerously low body temperature). The report stated that a patient was placed in the intensive care unit (ICU) after their body temperature dropped severely during a surgical procedure and stayed in the ICU until they regained a normal temperature. All affected lots of Bair Hugger warming devices manufactured and distributed after October 2017 were a part of the worldwide recall. Patients with poor circulation of the feeder hands caused by peripheral vascular disease. The Bone and Joint Journal published a study in 2013 after performing a test using a smoke machine positioned under the operating table as a simulation of how potentially contaminating particles can move about the room. The Bair Hugger warming blanket device is defective and has caused serious harm caused by an unreasonably dangerous design. The Augustine Medical Corporation and Arizant Healthcare Inc. were negligent in manufacturing the product and making the device available on the medical marketplace. The device manufacturer neglected to test the device properly and never warned surgeons, doctors, patients, and consumers that using the device increases the potential risk of a surgical-associated infection. The Augustine Medical Corporation and Arizant Healthcare Inc. concealed evidence from the government and public of known dangers, hazards concerning the safety of the unit. It is my Claim Against Bair Hugger Valid? If you, or your loved one, suffered an infection or other severe medical condition as a result of undergoing a surgical procedure using the Bair Hugger warming device, you might have a case for compensation. However, determining its validity will require an evaluation of your claim and a review of the unique characteristics and evidence you could present to prove your case. To estimate how much financial compensation you might recover in court if you brought a Bair Hugger lawsuit requires analyzing the basis of your claim. Here are some categories and categories of damages commonly associated with them. All medical expenses incurred because of the Bair Hugger injury. All lost income/investment/wages incurred because of the Bair Hugger injury. All pain, suffering, and reductions in the quality and standard of life because of the Bair Hugger injury. All disfigurement sustained because of the Bair Hugger injury. Expenses (burial, medical, etc.) incurred because of the death. Loss of support/services/companionship because of the death. Any pain and suffering that the decedent experienced before he or she died. Any pain and suffering that the relatives experienced because of the death. Finally, many victims wonder if they can also receive punitive damages in their Bair Hugger lawsuit. They are quite common in other kinds of cases, and so people wonder if they are applicable here. These damages are meant to prevent others from acting similarly to the defendant. In the context of a Bair Hugger injury or death, you need to show that there was actual malice or recklessness on behalf of the manufacturer in order to obtain punitive damages. While this might be hard to show, it is not stopping others from seeking them in their lawsuits against the makers of the Bair Hugger blanket, and it should not stop you. As dangerous as the device is known to be, judges have yet to consolidate the hundreds of cases involving defective medical devices into a large mass tort settlement over the Bair Hugger warming unit. However, many individuals have filed cases against the device manufacturer to negotiate a settlement out of court or present the evidence in front of a jury at trial. Injured victims are advised to take legal measures to ensure they obtain financial compensation to recover their damages. That said, these cases tend to be highly complex and require the skills of a personal injury attorney who specializes in medical malpractice and defective medical device cases. An attorney working on your behalf can ensure you file all the necessary paperwork before the state or federal statute of limitations expires. The law firm can provide immediate legal representation to protect your rights and fight aggressively on your behalf to hold those legally responsible for your injuries financially accountable. 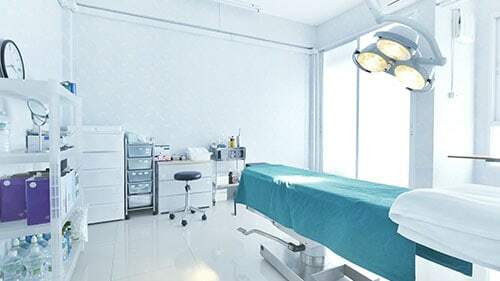 The medical device injury attorneys at Rosenfeld Injury Lawyers LLC understand that you were harmed by the negligence of a medical device manufacturer. Our legal team has successfully obtained millions on behalf of the victims and their family members to ensure they were adequately compensated to cover their medical expenses, household bills, lost wages, loss of future earnings, pain, suffering, and emotional damage and we can help your family too. Our law firm encourages you to contact our attorneys today to schedule a no-obligation case consultation to discuss the merits of your monetary recovery claim at no charge to you or your family. We accept all personal injury cases, wrongful death lawsuits, and defective product injury claims through contingency fee arrangements. This legal contract postpones the payment of legal services until after we have successfully completed your case through a negotiated settlement or a jury verdict. Our law firm gets results quickly because we understand you need money now. We proudly offer every client a “No Win/No-Fee” Guarantee, meaning if we are unable to secure financial compensation on your behalf you owe us nothing. All information you share with our law office will stay confidential. Let us begin working on your case today to ensure your family is adequately compensated for your harm.